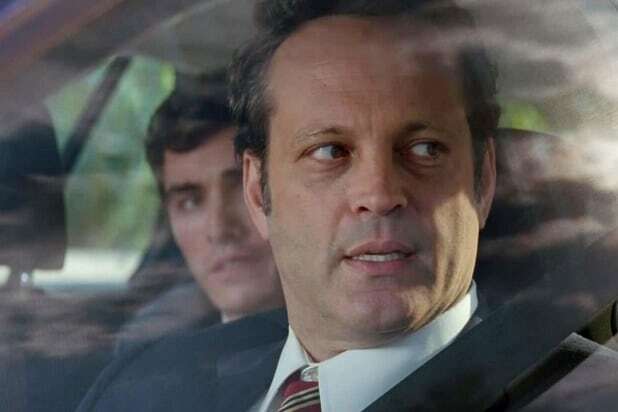 Maybe HBO’s “True Detective” will turn things around for Vince Vaughn. Vaughn is currently shooting the second season of “True Detective,” in which he stars with Colin Firth and Rachel McAdams, and the show will premiere this summer. “Unfinished Business” marks a career low point for the star of “Wedding Crashers,” which topped $200 million at the domestic box office a decade ago, but he has an impressive resume. Starting with his 1993 debut in “Rudy,” the 33 movies made by 44-year-old Vaughn have grossed more than $1.7 billion domestically. He has been one of Hollywood’s most bankable comic actors, too. “The Breakup,” “Four Christmases,” “Couples Retreat” and “Dodgeball: A True Underdog Story” all grossed more than $100 million in the U.S. But the most recent, “Couples Retreat,” was released five years ago. New Regency Entertainment, the company behind Best Picture Oscar winner “Birdman,” financed “Unfinished Business” to the tune of $35 million. The company declined comment Sunday, but founder Arnon Milchan had to have been thinking that the tale of a small businessman and two associates (Dave Franco and Tom Wilkinson) whose European trip goes very wrong would play more like one of Vaughn’s earlier hits than his recent misses. All of those were rated PG-13 however, and “Unfinished Business” was rated R, and that didn’t help it connect with critics or moviegoers. Just 10 of the 76 reviews posted on Rotten Tomatoes are positive, and audiences gave it a weak “B-” CinemaScore. Looking forward, Vaughn will star in a remake of the 1970s James Garner TV show “The Rockford Files” for Universal, where his Wild West Picture Show Productions was formerly set up. “Term Life,” a crime drama directed by Peter Billingsley, is also in the works. “True Detective” should have aired by then, and we’ll see how those do.